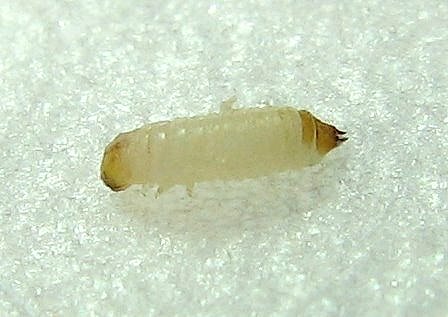 I know nearly next to nothing about the identification of the larvae of fungus-inhabiting beetles, but I found this larva alongside Minute Tree-fungus Beetles, a photo of which I had just posted: . So, I'm guessing that these may be their larvae. *Turns out that this is indeed the larva of a "Minute" Tree-fungus Beetle. This strikes me as too large to be a ciid larva . .
there's a decimal point missing.